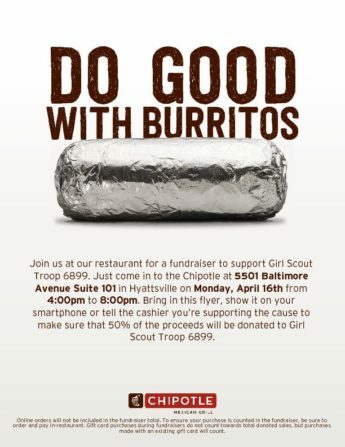 Girl Scout Troop 6899 invites you to Do Good with Burritos! Did you know you can ‘Do Good with Burritos’? 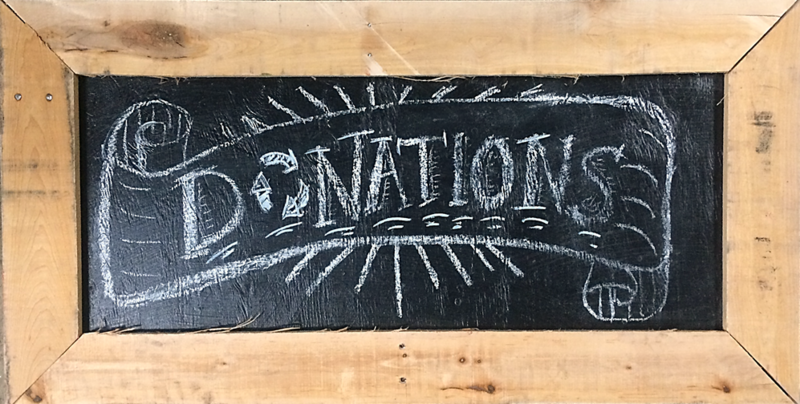 This coming Monday, our local Chipotle will be donating a portion of their proceeds to a project that is near and dear to Forklift’s heart. 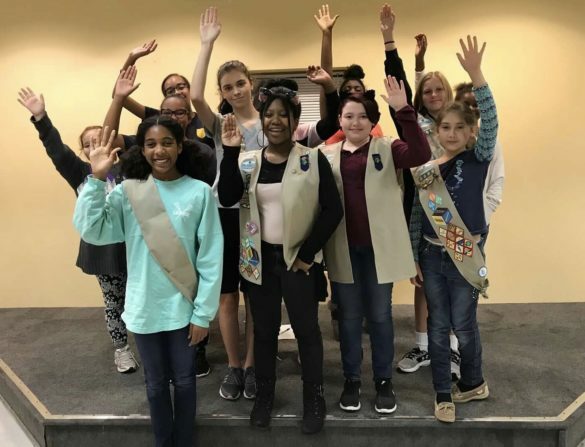 Girl Scout Troop 6899 is creating a “Little Free Pantry” to serve the city of Hyattsville. They were inspired by the “Little Free Libraries” that have been popping up all over, but their structure will hold nonperishable food items for those in need. 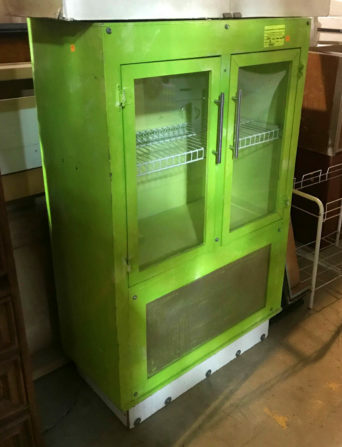 This salvaged cabinet from Forklift will be turned into a Little Free Pantry. You can support the cause by attending the fundraiser on Monday, April 16 between 4:00-8:00pm at the Chipotle located at 5501 Baltimore Avenue Suite 101 in Hyattsville, MD. All you have to do is bring in the flyer below, show it on your smartphone, or tell the cashier you’re supporting the cause, and 50% of your purchase will go to Girl Scout Troop 6899. Proceeds will go toward stocking the pantry for the first 6 months it’s up.